This contest is now closed and we have our winner please check out our facebook page for more information. Decryptedtech is having a new contest. It is a pretty simple one and involves a scavenger hunt of the site to find clues. In one of the articles we have posted in the last 14-days (starting from 7-24-2012) we have dropped a clue in the form of a mathematical problem. Solving this will get you to your next step where you must again find the clue and solve its meaning. In all cases typing the solution into the search bar will get you further along on your search. We will highlight the final location with instructions on what to do with the answer. For prizes we have some nice hardware for you gamers out there. 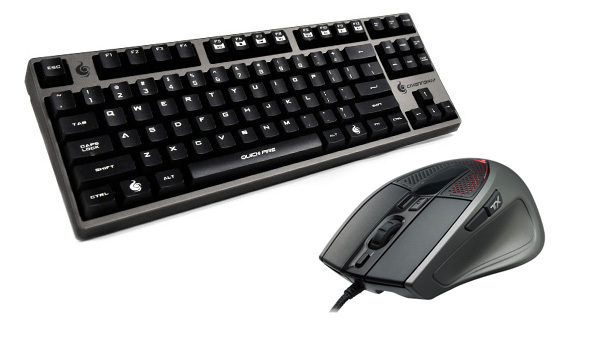 You will get a CM Storm Sentinel Advanced II Gaming Mouse and a CMStorm Quick Fire Rapid! The winner will be the first person to email us the final answer. In the event of a tie we announce the names of the people that managed to send us the answer at the same time and then randomly pick one. The winner will be notified via email, facebook, and an announcement on the site, they will have 3 days to claim their prize or it will be awarded to the next person in line. This contest is open globally unless your country of residence prohibits the import of the products listed as prizes. If you are with-in North America your prizes will ship directly from Cooler Master, if you are outside North America the prizes will be shipped to use for final shipping outside of the North American Region. DecryptedTech is not responsible for any import taxes that may be added by your local customs. We are also not responsible for items lost or damaged during shipping. We will work with you to correct any issues you might have, but due to limitations will not always be able to resolve them.